I’ve thought and written about organisation much of late. Perhaps it is the notion of starting a new year with beautiful, fresh, perfect systems in place? Perhaps it is the panic of year’s end when there is much to do in very little time? There may still be seven weeks to go in 2015 but take away the disruption that is the festive season and the immense amount of ‘home’ work that that entails and I do feel pressured. 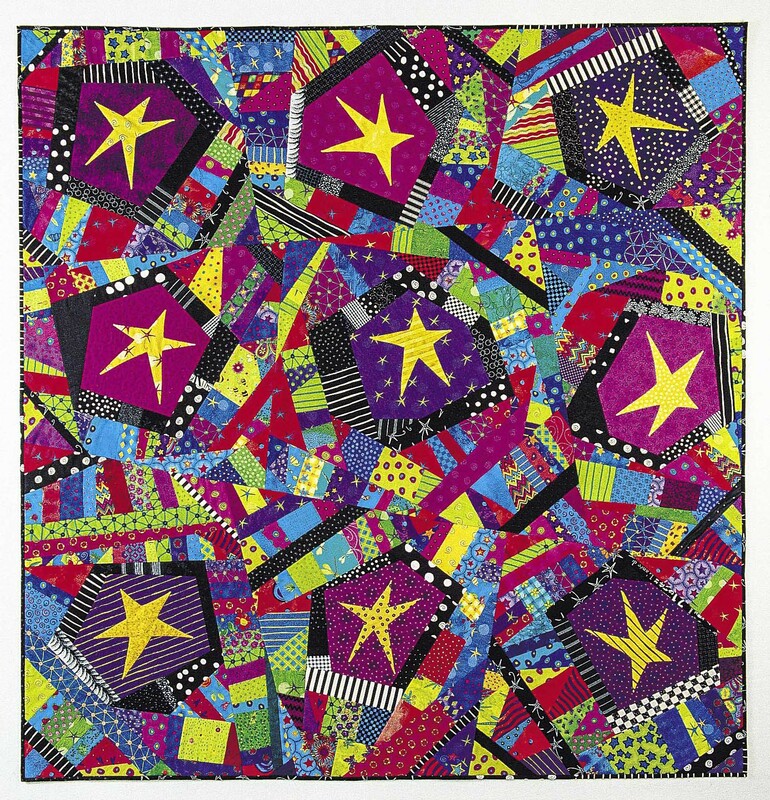 I am approaching the finishing line, finally, on my pattern rewrites and uploads. 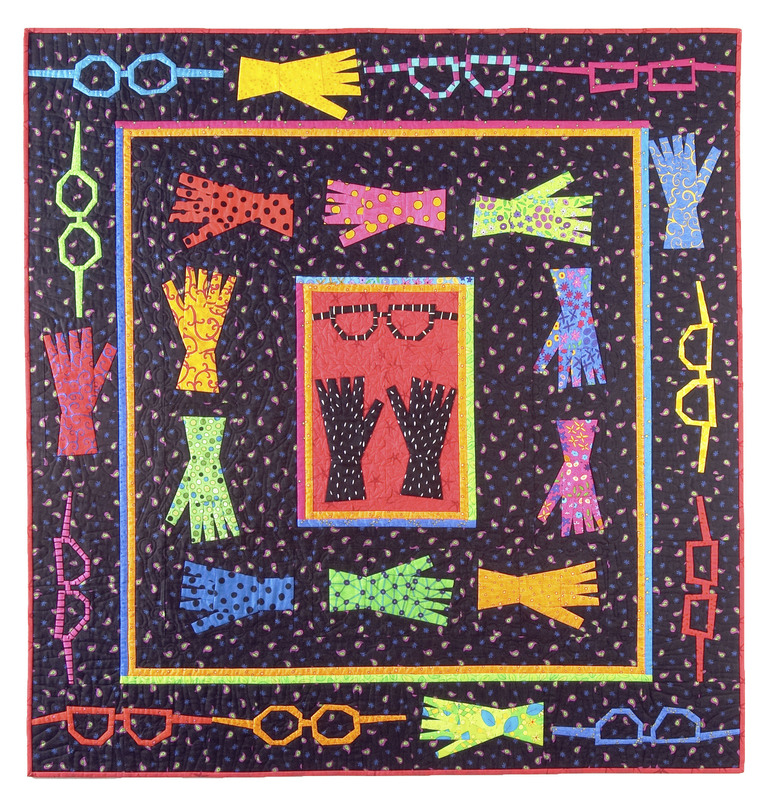 I edited and reformatted two patterns this week – Quilt As You Go Crazy and Glovez & Specz – that leaves four more to do then I will call it quits. Although I do enjoy the jig-saw puzzle of this process, I love the fresh documents and I feel great seeing my work neat and complete on Patternspot, I hope to seal this project very soon with a fond wave to a part of my life that was a big part of the making of me. 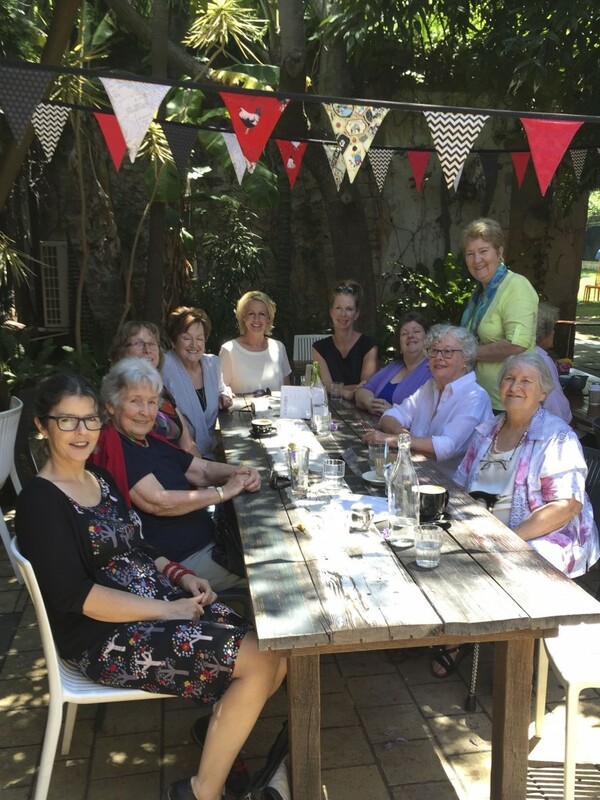 On Wednesday morning a large table load of Salvage/Selvedgers met at Canvas Cafe/Fremantle Art Centre. We were there to farewell Aunty Di, also with a fond wave. She will soon be winging her way to the School of St Yared in Ethiopia. Di will spend the last of our funds in Addis Ababa on current needs for the school. The school is only seven years old and with every year the intake of new students necessitates need for new classrooms and equipment to service them. Our remaining money will make an impact, perhaps in the form of new classrooms, and we trust Di to spend it wisely. On Thursday I revisited, via photos, the National Wool Museum and OZQUILT‘s quilt study day. My pleasant task was to choose photos that recorded our findings of the day. 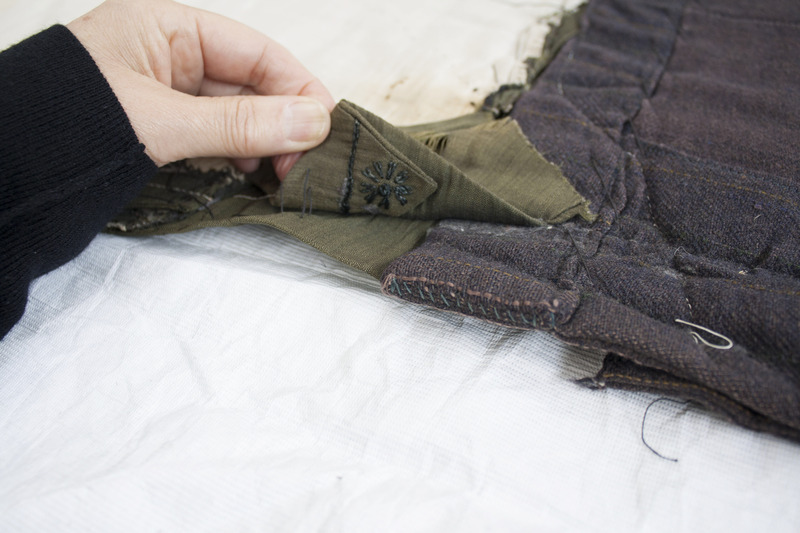 For each of the six quilts we studied I took photos of damage – evidence of insects, holes, loose stitches etc. We were also tasked to use our knowledge to verify and clarify and question their accompanying notes. Two of our detectives overturned and rewrote the notes on one fascinating and very humble quilt made of used clothes. 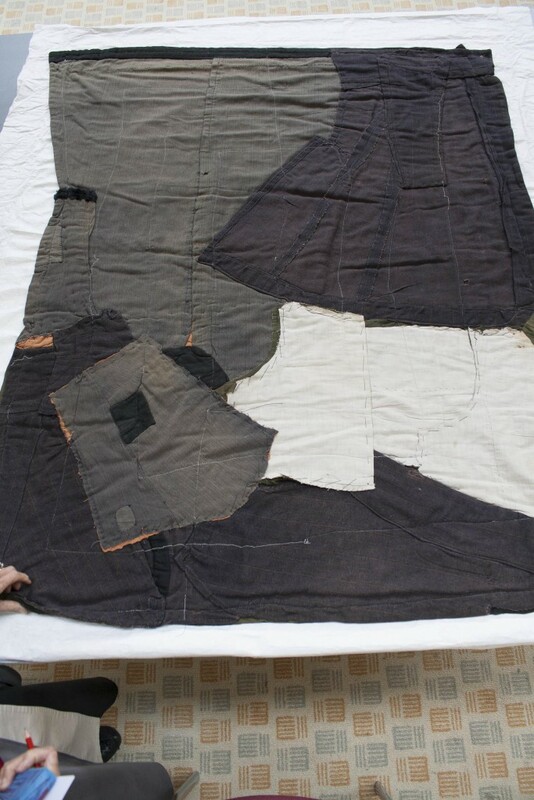 It was made of three well used winter garments including a ladies riding jacket or the like. It was so good to revisit. On Sunday we experienced the start of summer at our little house. We puddled around in the garden and finished re-setting the three bedrooms with their now lovely oiled floors. In the afternoon the pre-storm heat caused sleepy lassitude. I don’t do naps but I did play on my ipad and made the decision to revistit my organisational systems yet again…. I’ve been using ‘Remember the Milk’ for a while and before that simply, the systems that a Mac provides (Calendar, Notes etc). Again and again I’ve looked for a better way to keep everything out of my head and synced together. With the new year coming soon, and my fingers still in too many pies, I have committed to work with/in toDOist...and it is a big plunge. The bonus with this system is that it can link into my ical – the habitual starting point of my daily review – and work it easily across all my devices. Already I have cleared away a pile of paper lists and various sub apps – hopefully my brain and the toDOist system will be a near perfect match. How I get rid of my visual cues such as things near the sewing machine, relevant files open on my desk is another thing to tackle…eventually? Cooking up this fruit is going to be the dominant part of my week. 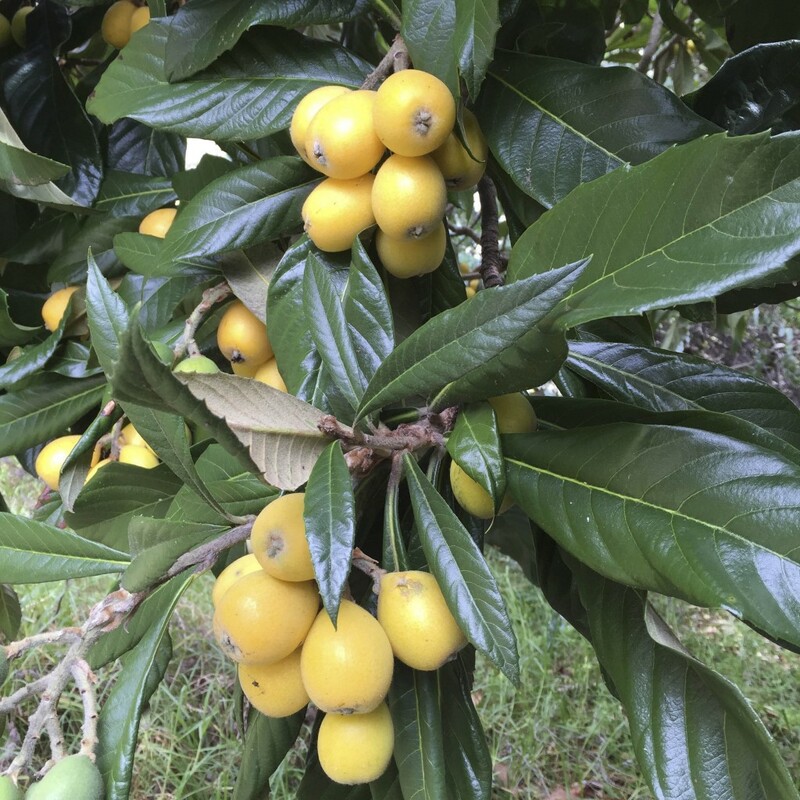 On Sunday we picked two large buckets of loquats, which made no dent on our tree, and I’m about to shop for all the other ingredients to make my now favourite chutney. We may not get much more than a salad for the next few nights as I cook up a pile of small batches but there will be plenty of jars filled with yumminess on the shelves.